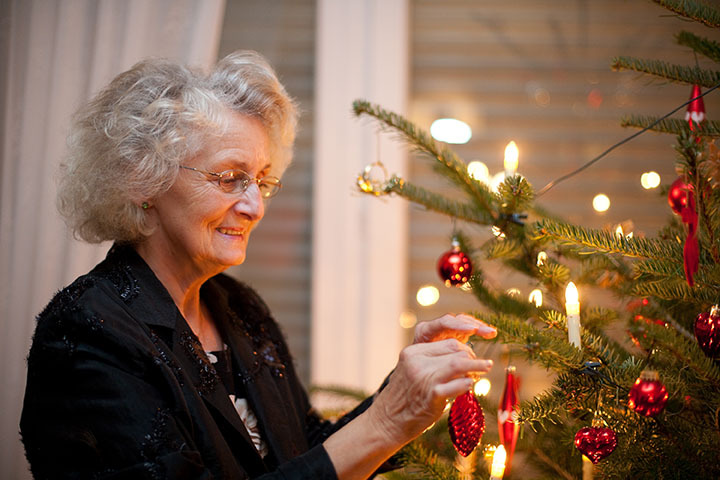 For many seniors, the holidays can be a difficult time of year. If you feel stressed, depressed or overwhelmed, you’re not alone. Help yourself with these coping strategies. The holiday season is usually a time for celebration and family togetherness. For many people, however, this time of year can cause or amplify negative emotions such as sadness, loneliness and grief. These feelings can seem especially intense because they contrast sharply with the season’s festive atmosphere. Try these coping tips to reduce the impact on your well-being. 1. Don’t try to do everything. The holiday season can be incredibly busy, with its parties, dinners, concerts, baking, shopping and other activities. If you’re feeling stressed, tired or overwhelmed, be selective about what you do. It’s okay to say no, even if you’ve participated in previous years. Talking to friends and family in advance about your plans helps manage expectations. 2. Reflect on your feelings. The holidays are rich with memories, which can be painful if you’re grieving for a loved one. Some people feel ambivalent about the holidays because of family issues, painful recollections or disappointment at being apart from relatives or friends. You may feel pressured to put on a happy face, but don’t ignore these emotions. Acknowledge them, and do comforting things that raise your spirits in healthful ways. Many people feel energized after exercising, spending time outdoors or connecting with friends. 3. Be open to new traditions. Often, we have fixed ideas of what holidays “should” be like, but families and traditions evolve for many reasons. Be open to trying something new. A small, cozy dinner with your children might be more comforting than a noisy party with extended family. Or, if you’re used to cooking the big feast, delegate tasks to others and make it a team effort. 4. Maintain healthy lifestyle habits. Self-care is important year-round, but especially when you’re feeling stress. Eating a nutritious diet, exercising regularly, and sleeping well can help you feel more balanced. You can still enjoy a holiday feast or ring in the new year at midnight – just check in with yourself about how you’re feeling, physically and emotionally, and adjust your plans as needed. 5. Don’t hesitate to ask for help. If you need extra help during this busy time of year, reach out to family and friends, or take advantage of services that lighten your load at home. Bayshore Home Health offers light housekeeping, meal preparation, personal care and other services that help seniors live independently. If you notice this holiday that managing household tasks is becoming more difficult, contact Bayshore to learn about our home care services and our trusted team of caregivers & nurses. We can help you age comfortably at home, all while giving your loved ones the peace of mind knowing that you’ve got a little extra help for things like medications, personal care, meal prep, housekeeping and more. Give us a call at 1-877-289-3997 or visit www.bayshore.ca to find out how we’re helping aging Canadians across the country stay healthy and happy at home.